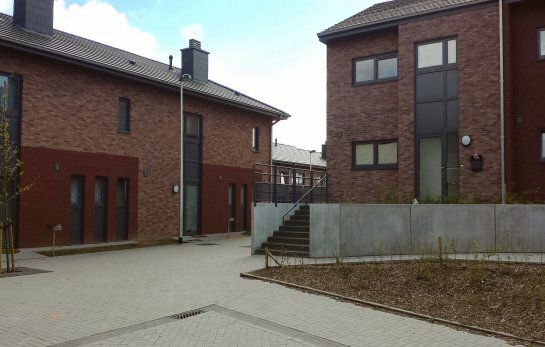 Social housing company Kempisch Tehuis, in collaboration with the municipality of Houthalen, built new homes between Ahornstraat and Bergstraat in the Meulenberg district. Four apartment blocks were demolished for this project. 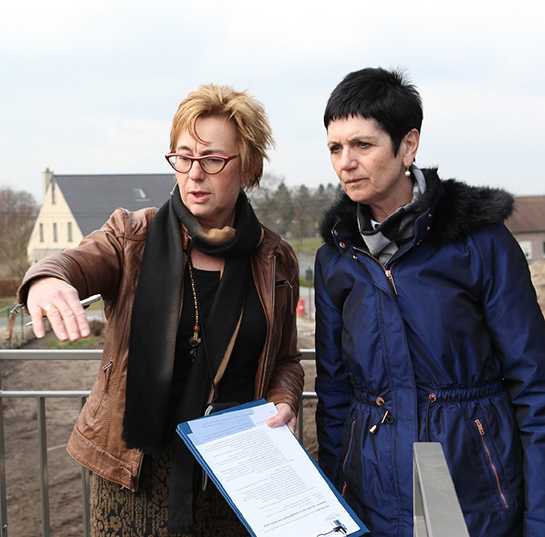 But the intention was not only to build new homes there. With this project, architectural firm Do Modus also wanted to upgrade the rundown site into a pleasant and safe neighbourhood that offers opportunities for play and meeting up. Twelve transit houses with three bedrooms each were built on the site where miners were formerly housed. The fact that the site is ready for a new story confirms the success of the car-free square at the Bergstraat. Car traffic is kept away from the residential area as much as possible, which improves the quality of life. The garages, which take the 1.20 m height difference of the site into account, are accessible via the Ahornstraat. Furthermore, embankments and water buffering were integrated into the green zones. The back gardens form part of a continuous green zone that forms a buffer between the houses and the adjacent holiday domain. The accommodation units have been gradually installed in groups of four so that the views are closed. In addition, the concatenation promotes the compactness and therefore, also the energy efficiency and lower cost price. The façade materials play a major role in appearance and integration. The choice of Robinia and Aubergine bricks from Nelissen contributed to a successful combination of various colours and coordination with the environment. The warm red hues match the context and the concept. With the masonry, the appropriate pointing colour could also be selected so the appearance works in its entirety. The bricks offer an excellent price-quality ratio and are a sustainable and affordable solution. They fit perfectly with the requirements, possibilities and resources available to a social housing project. The Nelissen bricks provide the project with a personal appearance. The colour surfaces provide a beautiful spectacle and reinforce the warm and social character. 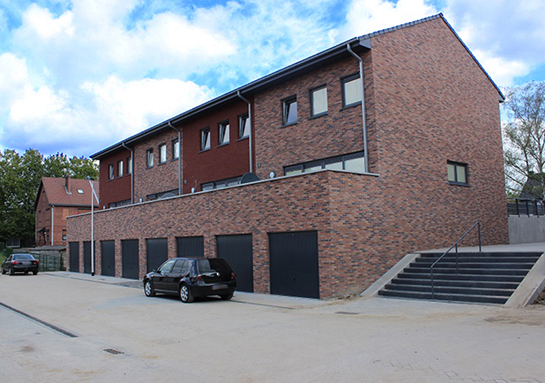 Contractor Lamers is very pleased with the products and service from Nelissen: “The bricks combine an excellent quality and contribute to the beautiful architecture. The competitive price and the achieved delivery time of the materials makes us happy to work with this manufacturer,” says Inno Lamers.